Half-fae Sam Gollet is no stranger to solitary confinement - being a half-fae working as a vampire enforcer will do that to you. She is also accustomed to solving the crimes within the supernatural community inside the Illinois Mystical Reservation when the feds refuse to lift a finger. After being released from Solitary, she finds herself quickly embroiled in the mysterious deaths of leading members of the fae community. Despite having been ostracized by the fae community, Sam agrees to solve the murders at the risk of her own safety. As the body count rises, she'll be forced to show her allegiance to the fae and prove that she's not in league with Heywood’s vampire gang, all the while trying to rebuild her crumbling friendships, avoid rejection from her family, and dissuade the unwanted attentions of a mage living outside the reservation. It seems like no matter what she does, all they can see is her allegiance to the vampires, leaving her wondering if she is stuck with misguided allies. I am LOVING this series!! I am so surprised because usually this type of paranormal isn’t for me fae’s but you know what getting out of my comfort zone had really made me see that I like new things! Sam Gollet goes through a heck of a lot in this book. I love that she doesn’t let things affect her, she should maybe process it all but she keeps moving and helping. I love that she is so dedicated but I want to see her take some time for herself to. She really goes through a lot and her body boy she is a fighter she just keeps bouncing back. I love her friends and how they help, her family man her family… I won’t say more on that but just dang man. 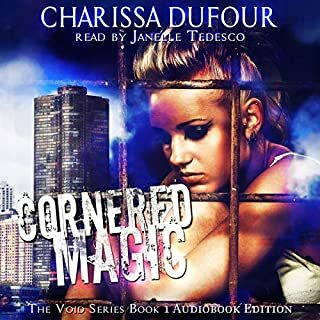 The twist in this one SHOCKED me and I can’t wait for the next book like NOW lol I have loved the audiobook Janelle Tedesco is a new narrator for me and she is quickly becoming someone I look forward to listening to. Just like in book 1, Sam is busy getting tangled up in a twisty web of a mess. It's definitely intriguing to see how things work out. New players are introduced in this book and involve themselves in ways not expected, as well as old players acting in unexpected ways! This is the second book in The Void Series. The first book was suspenseful, and this one is absolutely breathtaking. The world building is fantastic, and the characters are great, intriguing and well developed. Sam's story is entertaining! The storyline is complex, filled with action packed, twists and turns, intrigue, romance, and mystery. Janelle Tedsco did an amazing job with the narration. Now, I can't wait for the next book in the Series. OK this carries on from were we left off last time. I loved the tension in this book it had my heart pumping. My only negative is that I wanted the main female character to fight back more. I felt like she had given up. Other than this it is a great book with a mystery. Their is romance, betrayal, action and fantasy. I received this book at my request for free but the review is of my own. Sam is back dealing with jolted friends, an upset family, trying to solve cases, and working for a vampire she hates. 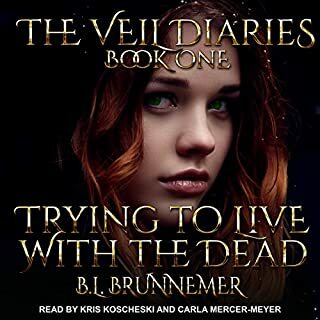 Life is still not simple for her as she’s trying to figure out who are suddenly killing the fae and how to get away from the vampire she works for. Another awesome tale of a very believable character. A half-Fae allied with vamps?! Oh my!!!! It's hard to believe that this book would be better than the first one but it is all that and then some!!!! I love this series!!!! Book one ended with Sam, the half-Fae and the main character, forced to work with the vampires, a sworn enemy of the Fae. Book two has that alliance in full swing with all of the icky that comes with it. Sam loses her friends, her family, and slivers of her soul in the process. This book was as compelling as it was intense. I felt for Sam as each person in her world showed their true selves. It was heartbreaking. The narrator was exceptional. There were so many characters and different beings and their portrayals were extremely well-done. This listen is probably not considered an action thriller but in every sense of those words, that's how it felt. That is attributable to the insanely good narration. I took a sneak peek and to my utter joy, see that there are a few more books on the horizon. I can't wait. I LOVE SAMANTHA!! GOOD SERIES!! I was super excited to listen and review this one, and it did not disappoint..Samantha is a force to be reckoned with!! She is getting better with her gift and wont be held down any longer...this one is steamier too!! I really enjoy this series, its different and keeps your attention..the narration is excellent also!! 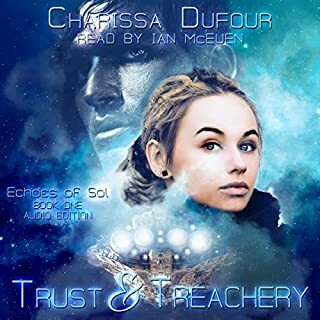 Charissa Dufour has written an action packed story with lots of twists. I couldn’t put it down. Janelle Tedesco is the perfect narrator for this story, and series. She flawlessly goes back and forth between characters and performs with impeccable timing and emotion. The series just gets better with each book. Love the depth of the characters and the way the world shines through as a character itself. There is a little of everything in this book and the twists and turns were great. Once again Janelle did a superb job performing. I was given a free copy of this audio in return for an unbiased review. 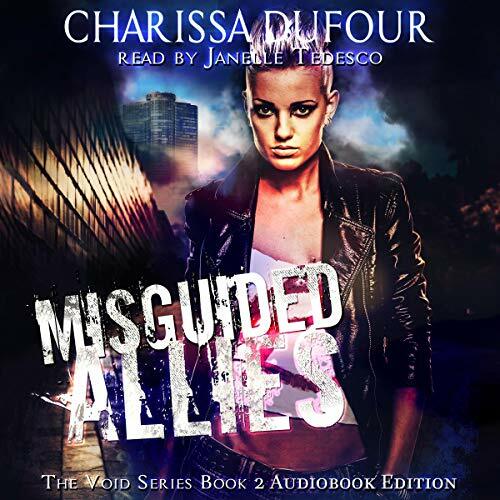 Charissa has done it again in the Void series and I couldn’t be happier. This book has everything from betrayal to understanding and definitely keeps you wanting more. Once again Sam is pulled into some seriously dangerous situations and yet she is able to pull herself to the top finding some surprising allies along the way. I can’t wait to see what comes next! I almost loved it! There was just a bit too much angst and Sam being obstinate after people help her. Sam is forever thinking no one will help her since she has been hated by family and neighbors since childhood. Now she is trying to save the very Fae who have turned their backs on her.A good follow up to book 1 with hints of book 3. Janelle was a fine narrator. free for an honest review.